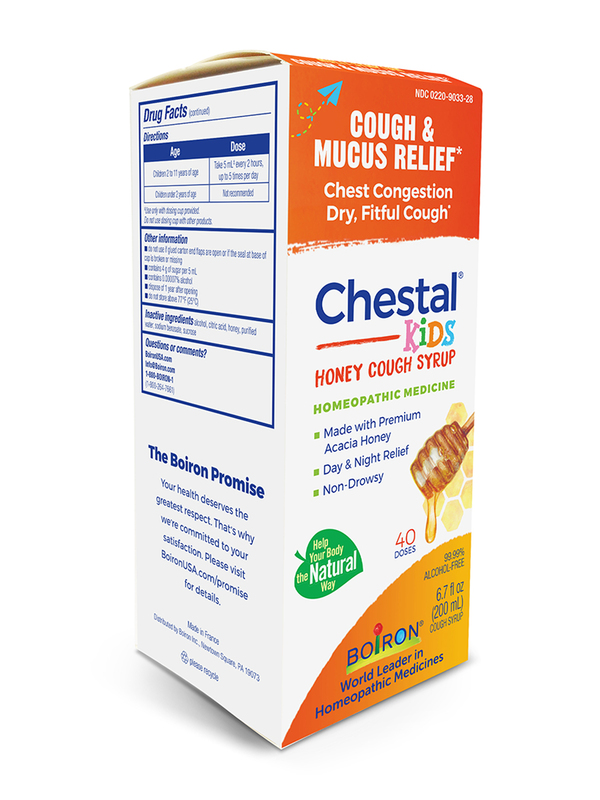 Children's Chestal Cough by Boiron is an all natural homeopathic medication with honey as a main ingredient. 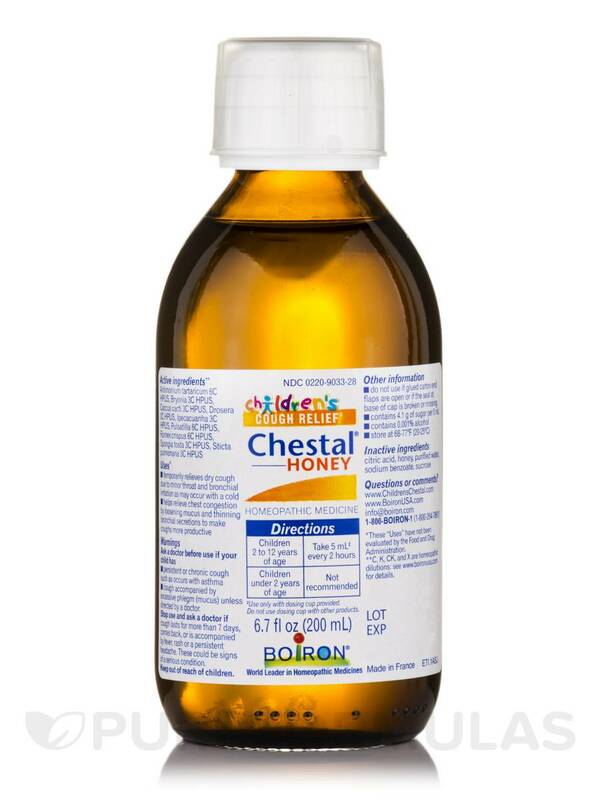 Very useful and provides very quick cough relief without any side-effects. 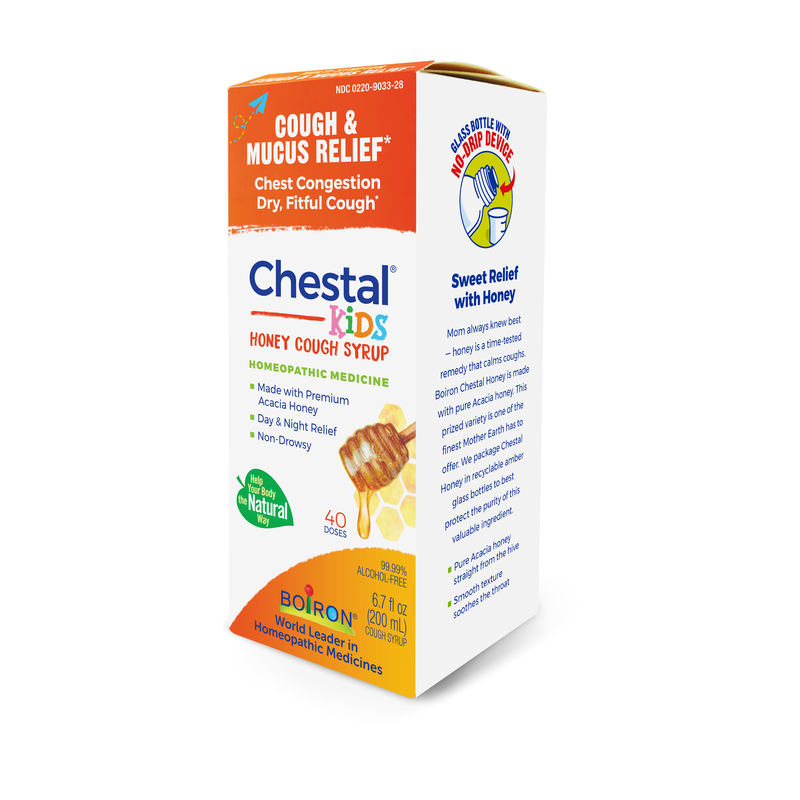 Children's Chestal is your child's day and night solution for relieving all types of common coughs. 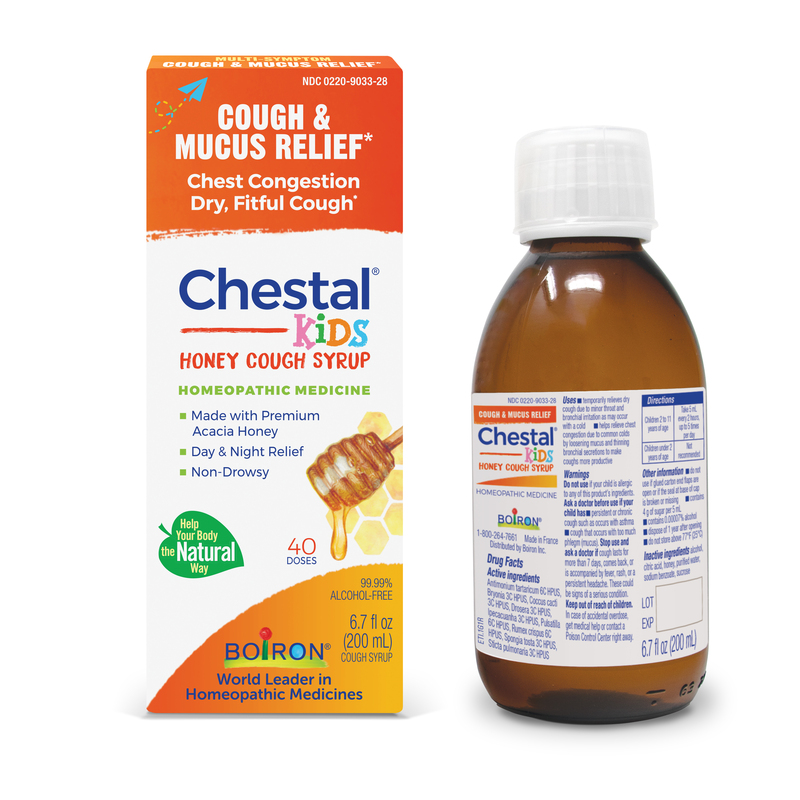 - Natural honey base coats and soothes the throat. - Calms dry‚ fitful coughs. 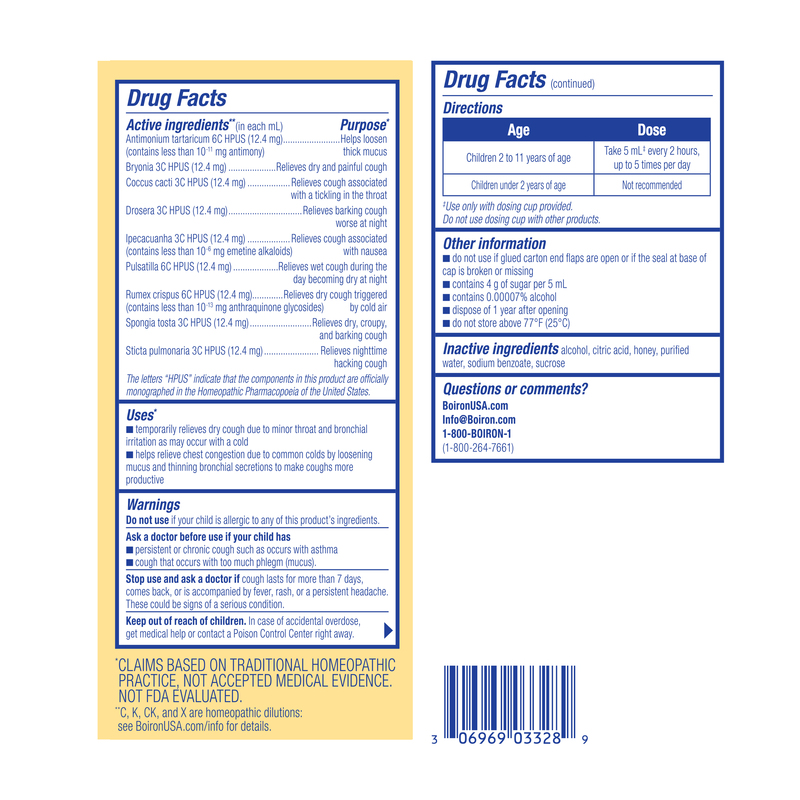 - Non-drowsy‚ no drug interactions. - For children ages 2 and up. Antimonium tartaricum 6C HPUS / Helps loosen thick mucus. 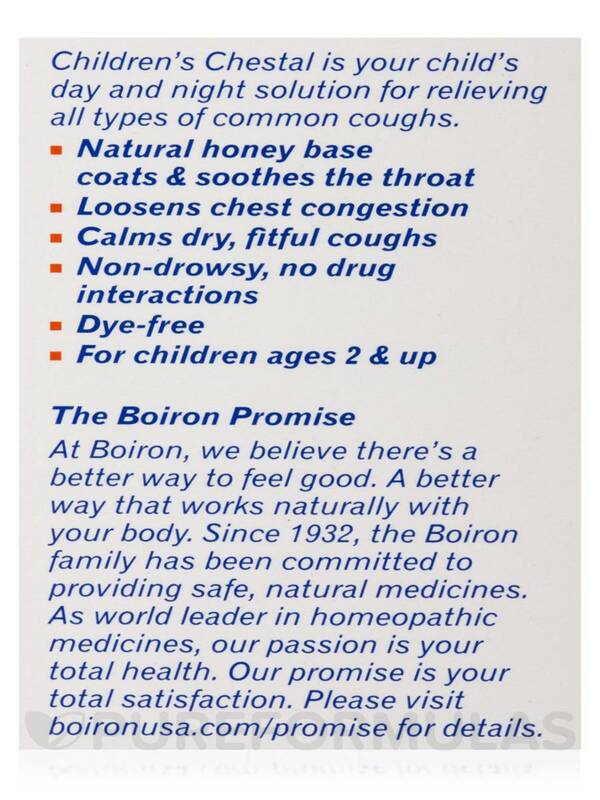 Bryonia 3C HPUS / Relieves dry and painful cough. 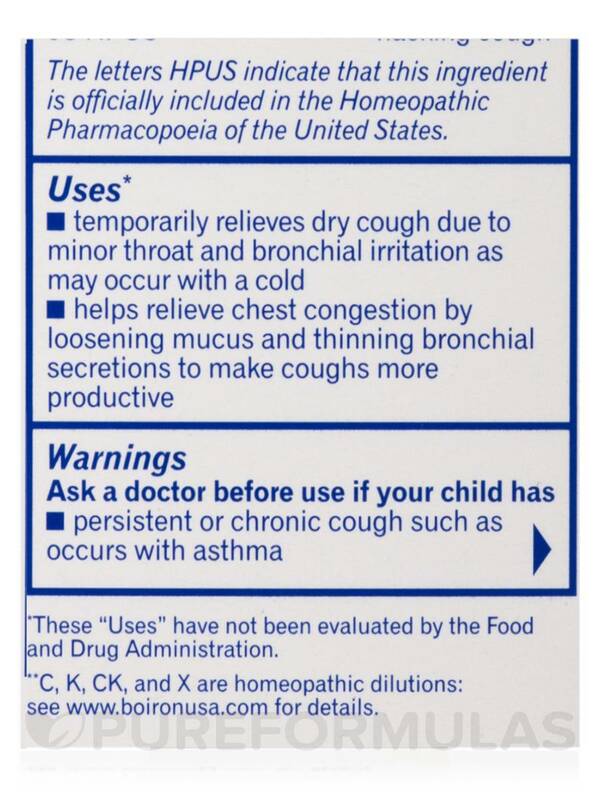 Coccus cacti 3C HPUS / Relieves cough associated with a tickling in the throat. Drosera 3C HPUS / Relieves barking cough worse at night. 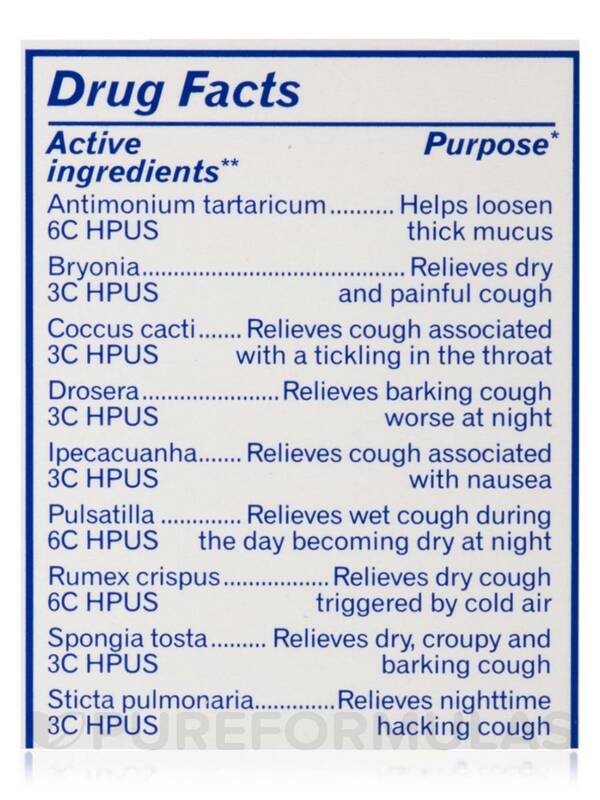 Ipecacuanha 3C HPUS / Relieves cough associated with nausea. Pulsatilla 6C HPUS / Relieves wet cough during the day becoming dry at night. Rumex crispus 6C HPUS / Relieves dry cough triggered by cold air. Spongia tosta 3C HPUS / Relieves dry‚ croupy and barking cough. Sticta pulmonaria 3C HPUS / Relieves nighttime hacking cough. 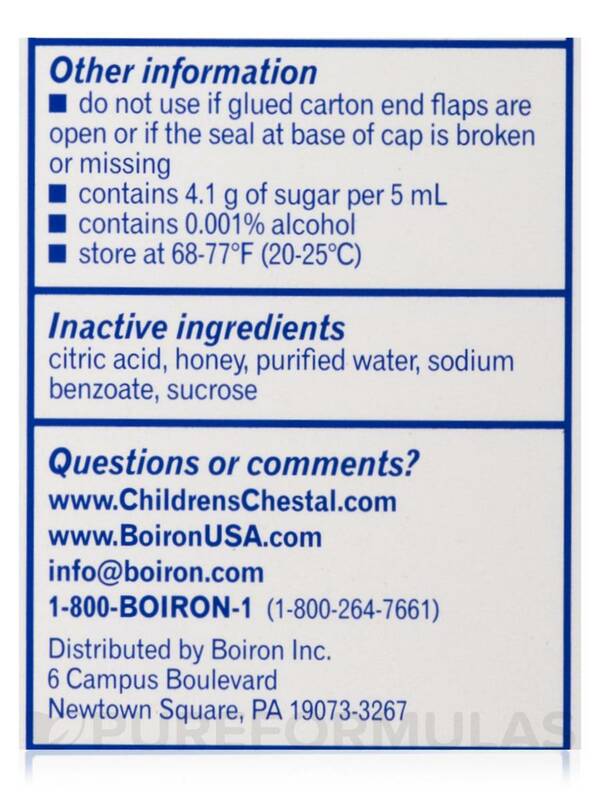 Inactive Ingredients: Citric acid‚ honey‚ purified water‚ sodium benzoate‚ sucrose. *Use only with dosing cup provided. Do not use dosing cup with other products. 5 ml = 1 teaspoon. 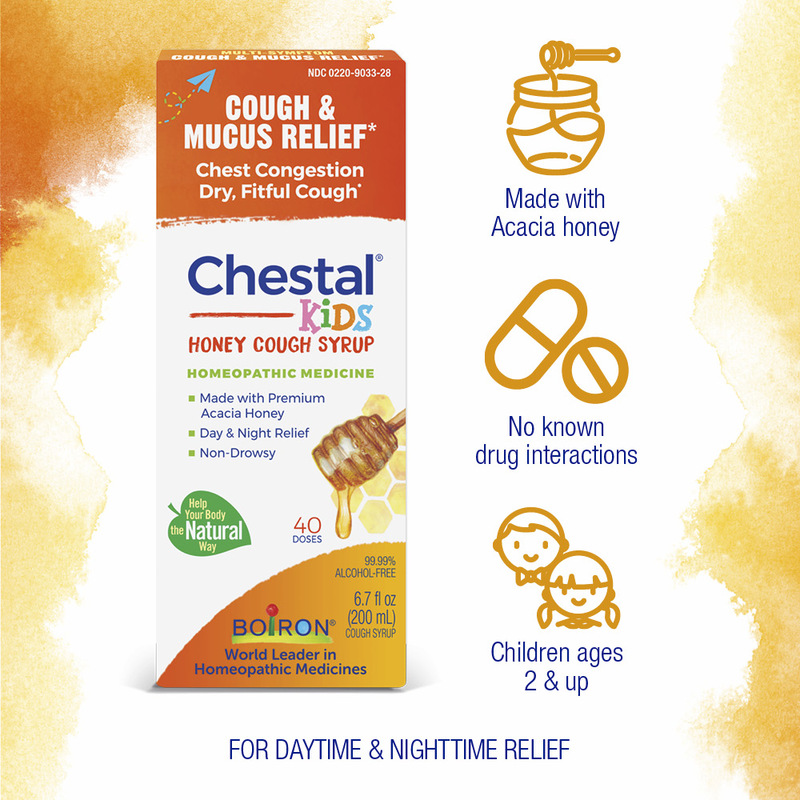 Ask a doctor before use if your child has persistent or chronic cough such as occurs with asthma. 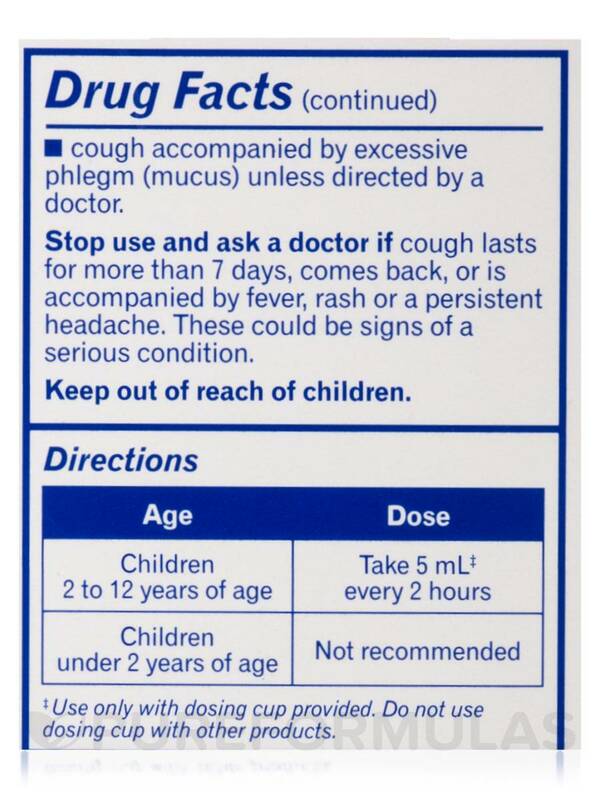 Cough accompanied by excessive phlegm (mucus) unless directed by a doctor. Stop use and ask a doctor if cough lasts for more than 7 days‚ comes back‚ or is accompanied by fever‚ rash or a persistent headache. These could be signs of a serious condition. Keep out of reach of children. Do not use if glued carton end flaps are open or if the seal at base of cap is broken or missing. Store at 68-77°F (20-25°C). 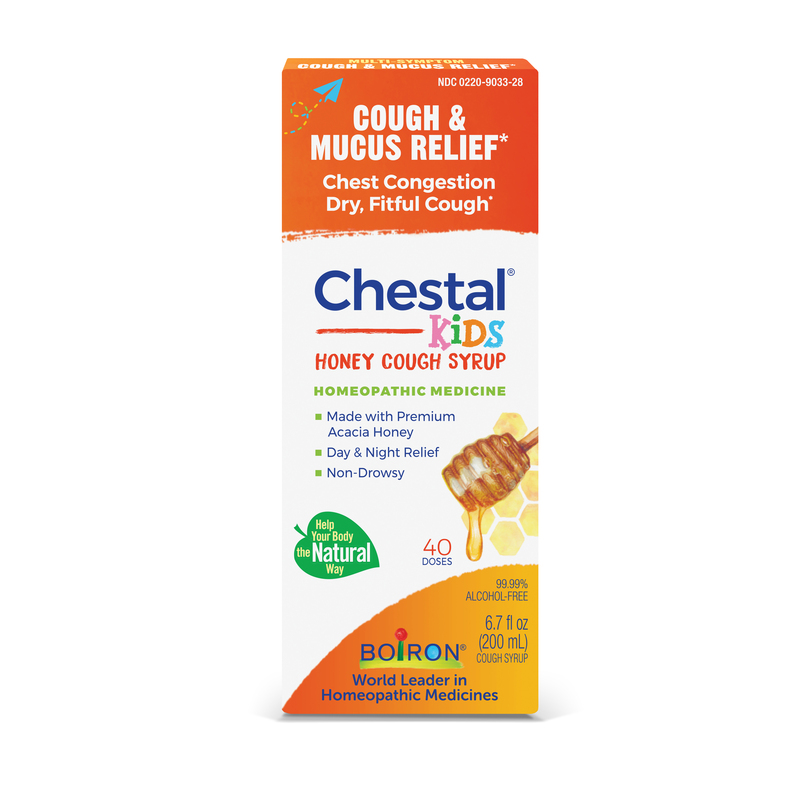 When my daughter has a chestal cough this Children's Chestal Cough Honey by Boiron works the best. I know when it's wearing off when she starts coughing again!